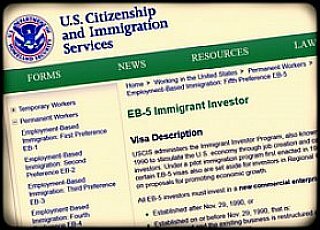 The immigrant investor (EB-5) program reached a new height of mischief this week; it played a role in a complex money laundering operation in which the North Korean government sought to secure dollars for its coal exports to China, despite U.S. efforts to squash such transactions. This came out in an amended complaint filed in federal district court in Washington, D.C., this week; the Justice Department filed papers seeking to confiscate $4.6 million in coal payments, and an additional $500,000 for an EB-5 investment. The case has everything in it. Then there are the puzzles about the main manipulator of all this, Chi Yupeng, of Dandong, China, and his wife; they used money-laundering techniques to get the $500,000 out of China (around barriers to capital flight). They wanted to use the money to buy participation in the EB-5 program, but the money was intercepted by the feds along the way. One puzzle is: Were they seeking to flee to the United States, as many of their wealthy peers do, looking for a safer, better life? Or were they coming here to continue their conspiracies with the North Koreans, and the various front companies? The EB-5 program could be used to facilitate either scenario. The other puzzle is, what happened to them? Are they in jail? Back in China? In the United States in some lawful, or unlawful, immigration category? That could not be gleaned from the complaint that speaks of their "interview at a U.S. immigration checkpoint". That reference is intriguing as well. A writer with limited knowledge of the immigration business might have used the term to mean the normal screening at an international airport or, alternatively, it could have been used — knowingly — to tell of the couple's being stopped at a Border Patrol checkpoint within the United States. If it were the latter, some really sharp BP agent should get some credit. Finally, there is this question: What was the real role of the Chinese government? China needs North Korean coal and Chi's maneuvers may have been known to, and accepted by China. Or maybe China regards the couple as agents of another nation? Some answers to at least some of these questions may emerge at the trial, if a plea arrangement is not made. This is a civil proceeding and its case number, in the PACER system, is 1:17-cv-01706-CRC.